Although the Data Protection Directive includes some provisions towards accountability, such as ensuring compliance with the main data quality principles and implementing appropriate measures to protect data, the General Data Protection Regulation provides more specific provisions to ensure accountability. The accountability provisions of the GDPR include taking a risk-based approach, conducting data protection impact assessments and appointing a Data Protection Officer in certain cases. Companies should have reviewed existing policies and data processes to identify gaps and incorporate an effective accountability programme. Senior management should be aware of the requirements and ensure a fully compliant programme is in place. A Data Protection Officer should be appointed if one is required. Further information on the risk-based approach, Data Protection Impact Assessments, Prior Consultations and Data Protection Officers is provided below. The GDPR introduces a risk-based approach that involves assessing the risks presented by data processing activities and responding appropriately. This should take into account the nature, scope, context, purpose of the processing and the potential risks to the rights and freedoms of individuals. The relevant obligations for ‘high risk’ processes are notifications of breaches, conducting a data protection impact assessment and prior consultations with Data Protection Authorities. Types of processing or processing operations that are likely to have a high risk to the rights of individuals, particularly when using new technology, require the controller to carry out an assessment of the impact in advance. This includes processes that involve automated processing, such as profiling, that leads to decisions that can have a legal effect on individuals, or large scale processing of personal data relating to special categories of data or criminal convictions. The Data Protection Officer, where designated, can advise on the assessment. The supervisory authority will provide a list of the kind of processing operations that will require a Data Protection Impact Assessment. Assessments should include a systematic description of the processing operation, its purpose and assess the risks to the rights and freedoms of individuals. It should also include the measures that could be taken to mitigate these risks, including safeguards, security measures and mechanisms to ensure the protection of personal data and to demonstrate compliance with the GDPR. Where a Data Protection Impact Assessment indicates the process poses a high risk, the controller must consult the supervisory authority as described in Article 36 ‘Prior consultation’. The supervisory authority will provide written advice to the controller, and to the processor when applicable, if it considers the intended processing will infringe the Regulation. This will be received within eight weeks of the request for consultation, the period may be extended by a further six weeks if required. the processing is carried out by a public authority or body (excluding courts). the core activities consist of processing operations that require regular and systematic monitoring of data subjects on a large scale. the core activities consist of processing special categories of data in Article 9 or 10 on a large scale. EU Member States may also make the appointment of a DPO mandatory by law under other circumstances. It is possible for a group of undertakings to appoint a single DPO provided the officer is easily accessible. The DPO may be employed on a permanent or contract basis, and the contact details of the DPO will be published and provided to the supervisory authority. The DPO needs to be involved in all issues related to the protection of personal data and will report directly to the highest management level of the controller or processor. 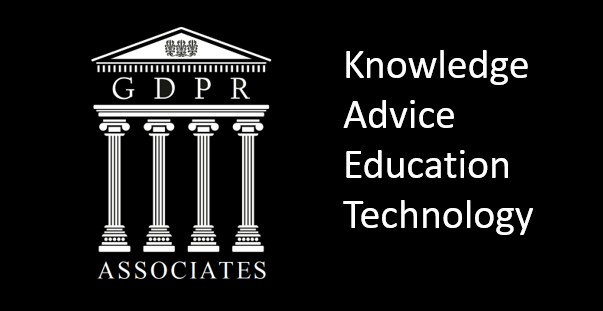 The role of the DPO includes informing and advising the controller or processor and relevant staff of their obligations regarding the General Data Protection Regulation, and any other relevant data protection provisions. They must also monitor compliance with the GDPR and internal policies relating to the protection of personal data. The DPO should also advise the controller when a Data Protection Impact Assessment is being carried out and monitor its performance. If the assessment indicates that the processing would result in high risk and a prior consultation is made, the DPO will act as the main contact point with the supervisory authority to discuss this, as well as any other relevant matters.